A relentless work ethic and an enthusiasm for climbing steep learning curves have always been hallmarks of Jeff’s legal career. 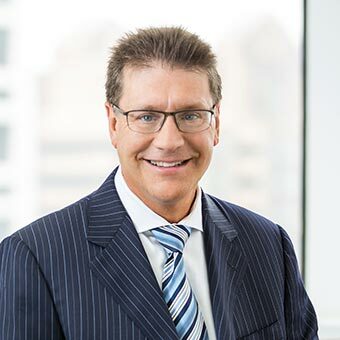 A 15-year veteran of complex commercial litigation and transactions for construction industry clients, Jeff is now applying his talents to representing plaintiffs in personal injury cases. He handles all facets of his cases, from initial consultations to preparing pleadings, conducting depositions and other discovery, arguing motions and advocating for his clients at hearings and trials. Jeff’s hands-on approach to his practice aligns with the firm’s core value of providing first-rate service by developing personal connections with clients. Given his prior work experience, he has a particular interest in cases involving construction site injuries caused by violations of established safety practices and standards. 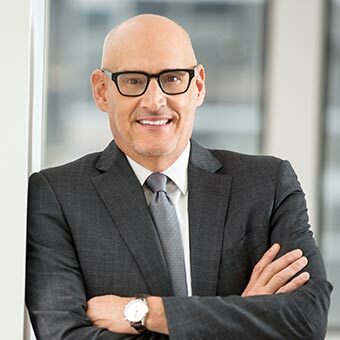 Jeff’s background in complex, multiparty litigation – including mass tort cases – gives the firm an ability to accept and manage more complex data-driven and document-heavy cases. When he’s not working, Jeff is an active runner, cyclist and enjoys staying healthy. He also loves traveling and experiencing different cultures, people, places and food. Jeff lives in the Northern Liberties section of Philadelphia where he is an active member of his community and enjoys all the amazing things the City has to offer. At the heart of Jeff, however, is his incredible family and friends who are his true inspiration and the secret to his success. Representing motorcyclist who sustained severe brain injuries from collision with drunk driver leaving nightclub that served him while visibly intoxicated. Representing motorist who suffered devastating injuries in collision caused by a construction company that obscured street visibility with parked trailer. Representing small business owner who sustained serious hand injuries after tripping over equipment while ordering materials at a supplier’s premises. Representing wife and estate of fatal car accident victim who was killed while driving for his job. 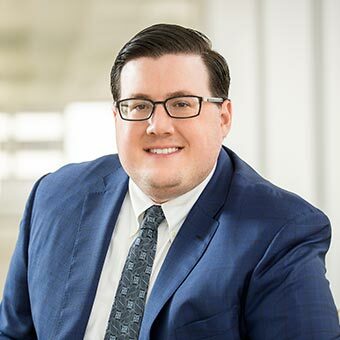 Mass Tort Experience: Jeff has expertise litigating multi-jurisdictional mass tort claims for corporations, manufacturers, and material suppliers in connection with products liability, indoor air quality, insurance recovery, toxic torts, bankruptcy and asbestos claims. Construction Litigation Experience: Jeff worked on cases involving the construction of sporting arenas, hotels, resorts, commercial buildings, residential buildings, school buildings, highways, sewage systems, airports, and energy producing facilities, including, Lincoln Financial Field, Citizens Bank Park, Piazza at Schmidt’s, Symphony House, The Four Seasons, Great Exuma at Emerald Bay, Ritz Carlton Grand Cayman, Kaheawa Wind Farm, Hawaii, Philadelphia International Airport, Marine Club Condominiums, Philadelphia Lofts at 640, Rowan University, Philadelphia School District, Bristol Borough School District, Chichester School District, Metropolitan Atlanta Rapid Transit Authority, Pennsylvania Department of Transportation, New Jersey Department of Transportation, Delaware Department of Transportation and Marshalltown Generating Station, Iowa. Transactional Experience: Jeff has extensive transactional experience drafting and negotiating contracts, engineering-procurement-construction agreements, waivers and releases for major industrial, commercial and residential projects. He prepared and reviewed corporate documents, business entity, structure and management agreements and other business contracts. Jeff worked closely with his clients in all aspects of their business, developing risk management plans and standard operating procedures to minimize potential liability.